Williamsport’s Ethan Williams attempts a shot against Montoursville in Saturday afternoon’s game at Montoursville. Williamsport won, 68-44. Ethan Williams started Saturday’s game at Montoursville slow. Everything else he did, Williams did fast. And at times in the second half, the Williamsport guard made plays at a rate Usain Bolt might envy. Williams changed the game’s complexion during the second half with his smothering pressure defense. He scored 15 of his 17 points and made four of his six steals over the final two quarters, and ignited a unit that took over the game. Put it all together and Williamsport turned what was a close game late in the third quarter into a convincing 68-44 win against the defending District 4 Class AAAA champions. He did and so did his teammates. Williamsport (6-12) won consecutive games for the first time this season on the strength of its defense forcing costly turnovers that it repeatedly cashed in on over the final nine minutes. During that time, the Millionaires outscored Montoursville, 24-6 as the points often came in quick bursts. The most crushing blow from Montoursville’s perspective came in the third-quarter’s final minute when the Millionaires scored six quick points and doubled what had been a six-point lead. Williams capped that flurry by making a steal near the left sideline and finding Ahmir Ellzy for a buzzer-beating layup that made it 50-38. Ellzy found Jones on Williamsport’s initial fourth-quarter possession and Wiliams converted his sixth steal into a layup seconds later. Williams capped the game-changing 16-0 run with a putback and Williamsport opened a 60-38 lead midway through the fourth quarter. All three Williamsport guards had big games. Marcus Simmons scored 16 points and added four assists. Ellzy was outstanding running the offense, finishing with a a game-high nine assists, 11 rebounds and six points. A combination of the defense creating layups and Williamsport efficiently working against Montoursville’s zone defense helped the Millionaires make at least 50 percent of their shots in each quarter. They finished 29 of 51 as three players scored in double figures. Almost as vital as the defense was Williamsport’s depth. The Millionaires received a big lift from their bench that produced 23 points. Ry’Meer Brown was outstanding, scoring 12 points and making all six of his shots. 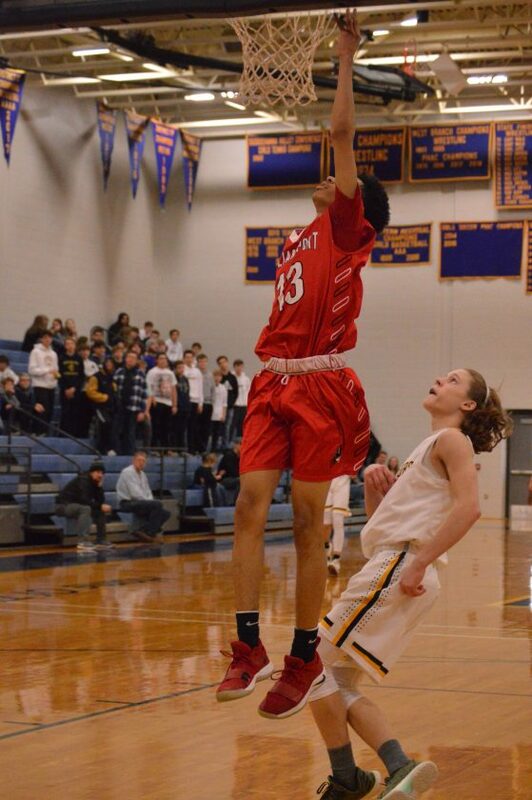 Cole Johnson, James Evans-McQuay and Makhi Gross hit big shots in the second quarter after Montoursville (15-5) had tied the game, helping Williamsport build a 31-25 halftime lead. Connor Nyman and Tyler Fausnaught also made some key plays as Williamsport never let Montoursville pull closer than 18 after completing the 16-0 run. Montoursville did not play the way it hoped, but it did have its chances early. The Warriors led 6-2 midway through the first quarter but struggled from the field and made just 6 of 18 shots that quarter. The Millionaires responded with a 7-0 run and Montoursville never led again, although it did score six straight points in the second quarter to tie the game, 23-23. At times Montoursville used Williamsport’s press against it and converted layups, but it often was hurried into uncharacteristic mistakes and turned the ball over 20 times. Still, this is a group that returned just one starter from last year’s team and that features just one starter. Losing stings, but if Montoursville grows from yesterday’s performance it could become a positive. “We made some youthful bad decisions today. We’re still a young team and you have to give them credit. 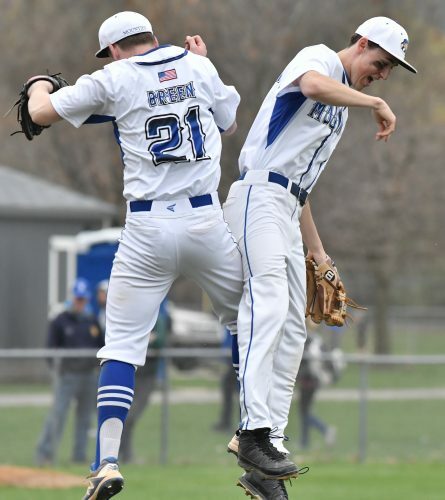 Williamsport has always played the game that way and today it really worked well for them and we couldn’t handle it,” Montoursville coach Mike Mussina said. “You don’t want to dwell on it, but you still have to learn from it. Hopefully we do learn from it and we can handle that kind of pressure better next time against the next team that we face that plays that intense, that up in your face. Austin Loe scored 15 points and grabbed six rebounds while Dylan Bower had 12 points and eight rebounds. Sophomore guard Dillon Young started strong and had six first-quarter points as well as four rebounds. Fellow sophomore Josh Burger grabbed five rebounds and dealt three assists. Montoursville trailed by four early in the third quarter when Williams heated up. He made a 3-pointer and scored off a steal, pushing the lead to nine. Montoursville fought within six points twice after that, but Williamsport answered each time and started going for the knockout blow in the final minute that quarter. Marcus Simmons 5 4-4 16, Ethan Williams 7 2-2 17, Nassir Jones 3 0-0 6, Ahmir Ellzy 3 0-2 6, Isaac Ritter 0 0-2 0, Ry’Meer Brown 6 0-3 12, Cole Johnson 1 0-0 3, Connor Nyman 0 0-0 0, James Evans-McQuay 1 0-0 2, Tyler Fausnaught 1 0-0 2, Makhi Gross 2 0-0 4. Totals 29 6-13 68. Austin Loe 6 3-3 15, Dylan Bower 5 2-3 12, Dillon Young 3 0-1 6, Hunter Shearer 2 0-0 5, Brandon Good 0 0-0 0, Josh Burger 1 0-1 2, Peyton Mussina 1 0-0 3, Jake simms 0 0-0 0, Eddie Rodriguez 0 1-2 1, Isaac Barrett 0 0-0 0, Wyatt Nettling 0 0-0 0. Totals 18 6-10 44. 3-point goals: Williamsport 4 (Simmons 2, Williams 1, Johnson 1), Montoursville 2 (Shearer 1, Mussina 1). 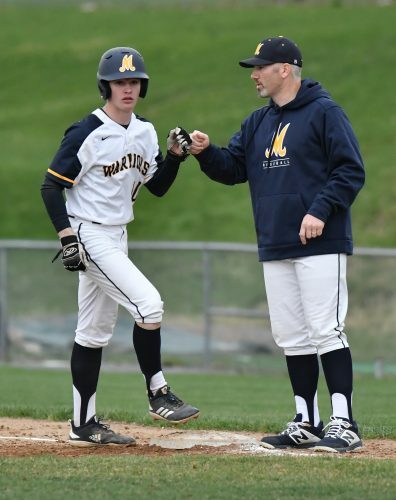 Records: Williamsport (6-12), Montoursville (15-5).